Count down has begun towards announcing new champions and world records at the ‘Pyeongchang 2018’ Olympics games, in South Korea. 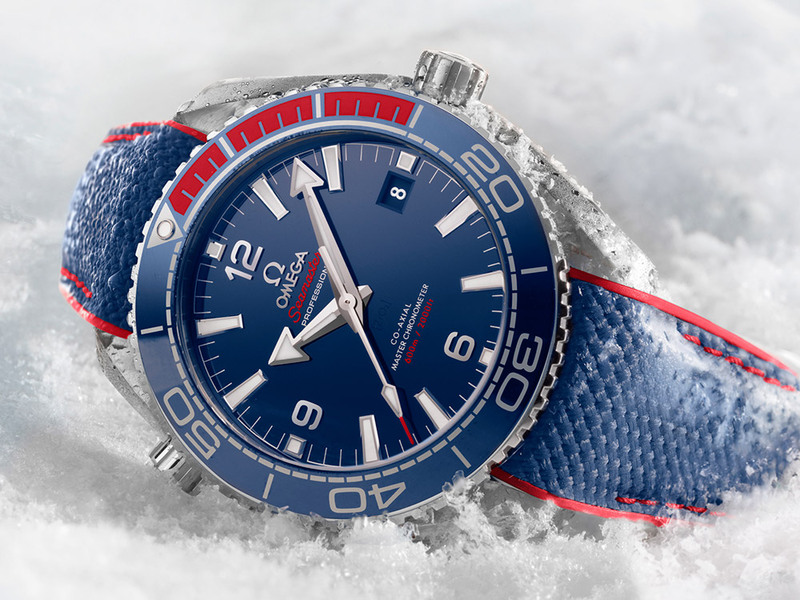 Omega continues its tradition of sponsoring and timing the results of these prestigious games and to further mark the occasion they’ve crafted the new “Omega Seamaster Planet Ocean ‘Pyeongchang 2018’ Olympics” watch. This watch was released a year ago in Seoul and New York to celebrate the 365-day countdown, towards the beginning of the 2018 Winter Olympics. 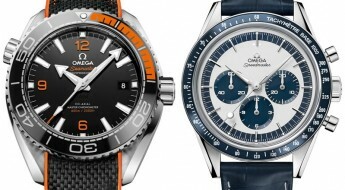 Omega has been the longest running sponsor of these events, so they keep trying to mix things up with inspiring events. 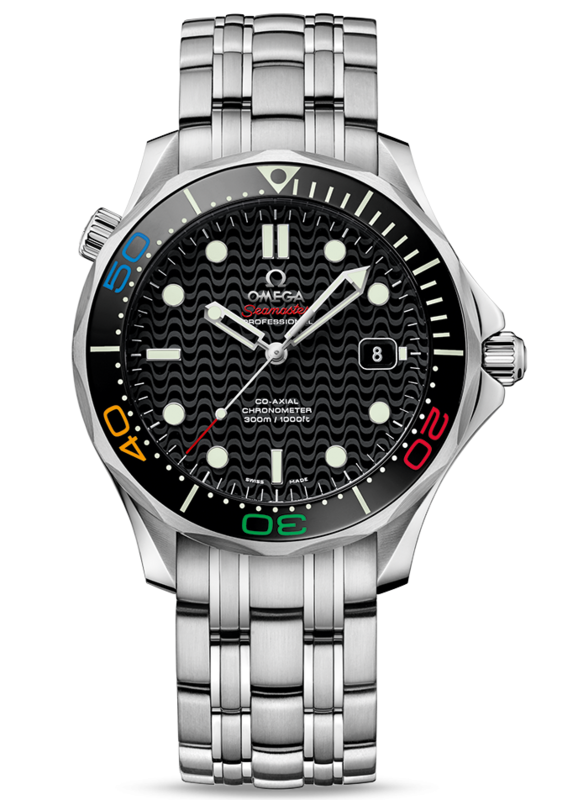 The 2016 Olympics in Rio de Janeiro, in Brazil was encapsulated with an “Omega Seamaster 300m Rio 2016” limited edition watch, among other pieces we reviewed at the time here. 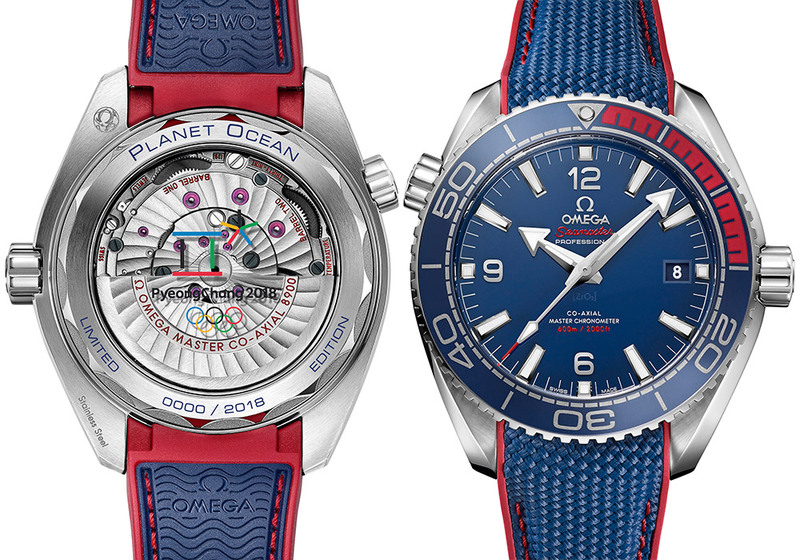 Now, for 2018 Omega has opted to instead utilize their more upmarket “Planet Ocean” model line. The 43.5mm case is made of stainless-steel with a transparent case back, which allows to view the inner workings of the mechanical movement. 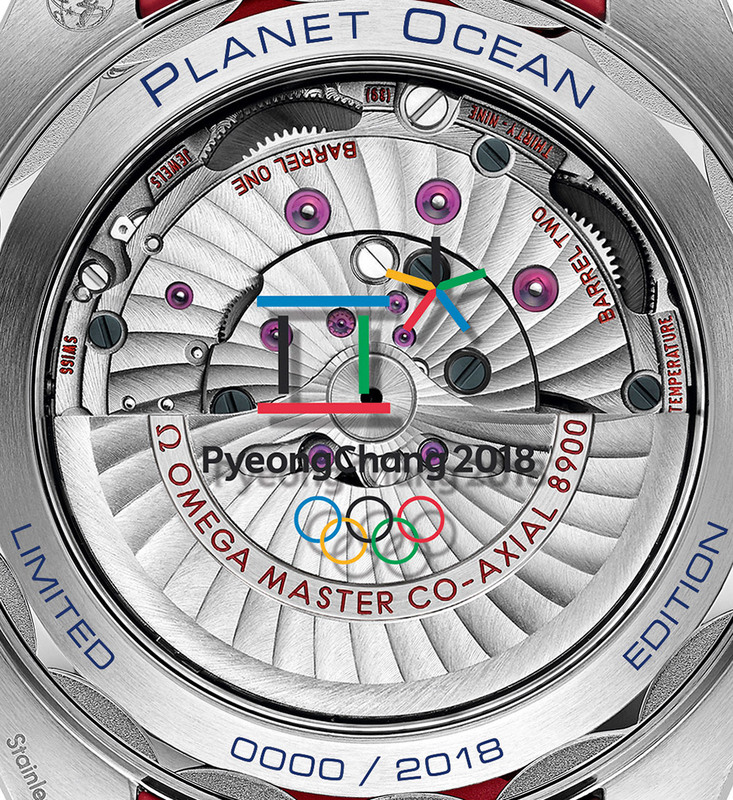 This exhibition screw-in case back is engraved in blue with the words “PLANET OCEAN” and “LIMITED EDITION”, as well as the unique individual number for each of these limited pieces. 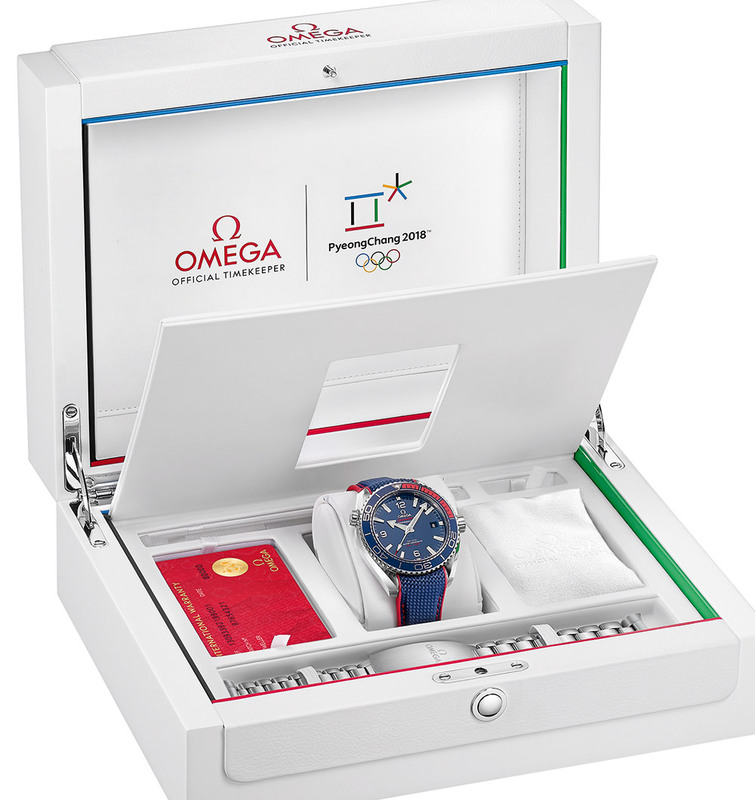 While transferred to the case back’s sapphire crystal are the words ‘Pyeongchang 2018’ and the ‘Olympic Games’ logo. Mounted to the case is a 60-minute scale rotatable unidirectional blue bezel, uniquely blended with red rubber for the first 15 minutes. Equipped with a screw-in crown and a helium escape valve, aligned at the 10 o’clock position. Topped by a domed scratch-resistant sapphire crystal with anti-reflective treatment on both sides, which assists with keeping this watch water-resistant up to a 600 meters (2000 feet). 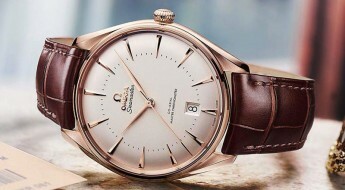 Time is exhibited on a polished blue ceramic dial with applied rhodium-plated hour index markers and the Arabic numerals 6 and 12, followed by minute-index markers circling around the dial made of Omega’s trademark liquidmetal. The color scheme we find here is clearly a reference to the blue and red, of the South Korean flag. The broad-arrow style central hands and the hour index-markers have all been fitted with a luminescent coating, for an enhanced legibility. There is also a date aperture at the 3 o’clock position. 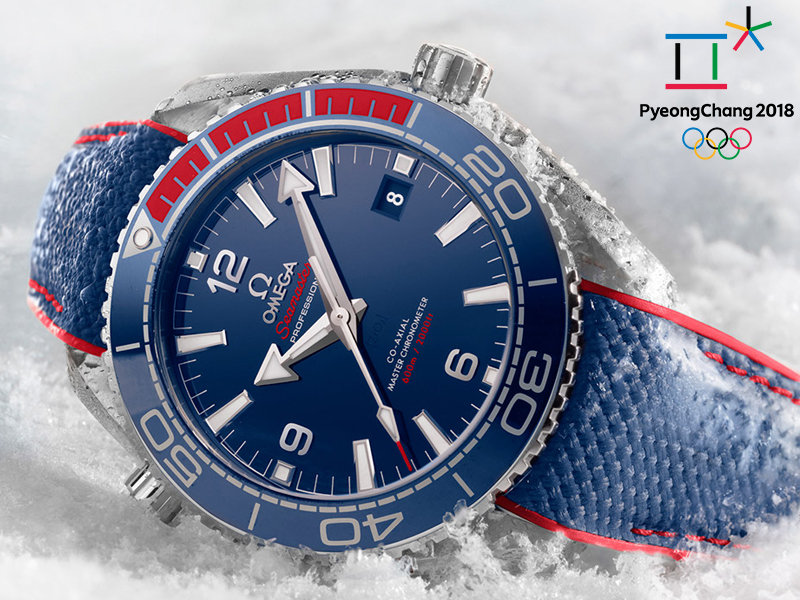 This “Omega Seamaster Planet Ocean ‘Pyeongchang 2018’” (Ref#: 522.32.44.21.03.001) is powered by a self-winding mechanical movement, caliber 8900 with 39 jewels and 25,200 Vph. Power reserve on this watch can last up to 60 hours, when fully wound. 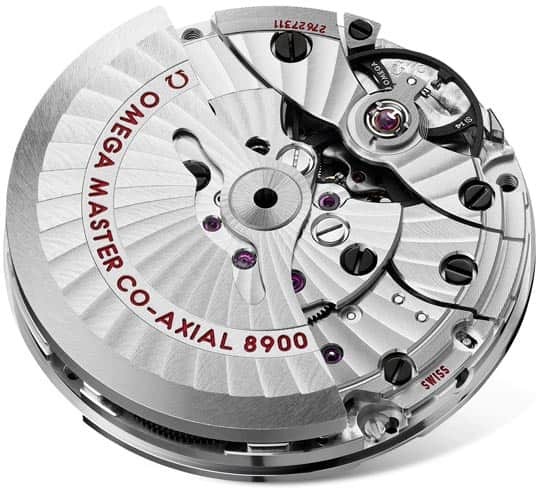 It is a METAS-certified master chronometers movement. Power reserve on this watch can last up to 60 hours, when fully wound. 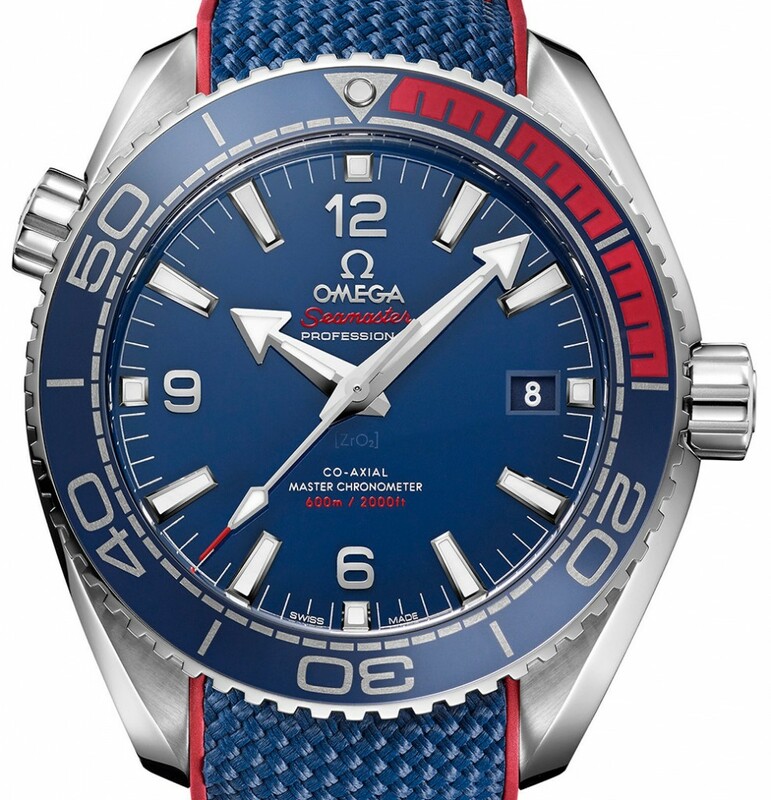 Mounted to the watch is a blue rubber strap with exposed red stitching, while secured to the wrist by a stainless-steel pin buckle. Also comes delivered in a special presentation box and an extra stainless-steel bracelet. This is a limited edition of only 2,018 manufactured pieces, as a reference to the year these Olympic competitions are taking place. For more up to date information visit the official Omega website here. Hello, I would like to subscribe for this weblog to obtain most up-to-date updates, therefore where can i do it please assist. Hi! 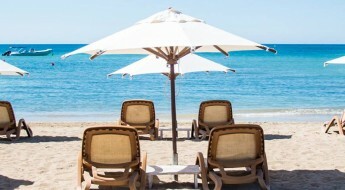 There is a “Weekly Newsletter” sign-up on the blogs sidebar, just add you email to the list & you’re set!